Amy started at Town and Country Animal Clinic in October of 2012 after relocating to Brookings from Bend. She has a degree in Early Childhood Education and spent 15+ years working with children and families in a social services program as a Teacher and Manager. 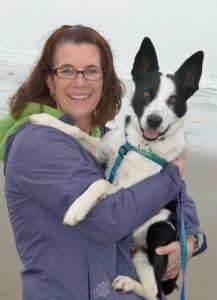 Amy has always had a love of animals and enjoys her career in the veterinary field. She has 3 dogs (Marley, Milo, and Kallie) and 1 cat (Daphne). She enjoys training Kallie, her Border Collie, to do tricks. Amy loves being outdoors with her husband and daughter. She enjoys paddle boarding, kayaking, hiking and camping. She also loves to refurbish furniture, enjoys photography and playing softball.